For my clients and my own family, buying a property in Puerto Vallarta was just the first, exciting step in a new city and a new country. But after your home is purchased and decorated, there is a whole new life to discover and explore, this beautiful city that magically combines both the charm of small-town traditional Mexico with the luxurious, sophisticated amenities of a world-class tourism destination. 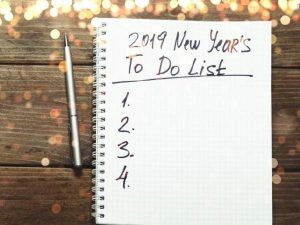 Here are a few 2019 resolutions to help you discover more about your new surroundings and life in Puerto Vallarta. Take A Food Tour – while often marketed to tourists, a food tour is a wonderful way to discover places you may never come across on your own. Two excellent companies are Vallarta Eats and Vallarta Food Tours, both offering different types of tours in various neighborhoods around the Puerto Vallarta region. You may just discover your new favorite restaurant and will certainly learn more about Puerto Vallarta’s origins and history. Get Involved – giving back to the local community through donating your time with one of the many non-profit organizations working throughout our region is not only extremely personally rewarding but a great way to make new friends within the community. Volunteering with local charities is truly a win-win in every conceivable way. Improve Your Spanish – while English is widely-spoken in Puerto Vallarta, learning a second language is scientifically proven to not only improve but also prolong mental acuity. But perhaps more importantly, being able to communicate in Spanish, even at just a basic level, helps you feel more comfortable and connected to your new community. Discover Los Mangos – Biblioteca Los Mangos (The Los Mangos Library), located on Francisco Villa, is one of the city’s most important cultural centers. With over 30000 books in English, Spanish, French and other languages, it is a marvelous place for those who love to read. But more than just a library, Biblioteca Los Mangos offers a wide range of classes and courses for all ages including dance, yoga, music lessons, sculpture and more. There are even popular movie nights and a weekly Saturday market. Make 2019 the year that you truly discover your home outside the doors of your new home in Puerto Vallarta. Every day promises a new adventure. Warren Brander is an expert real estate agent with The Agency. If you are thinking about buying or selling an investment property in Puerto Vallarta or the Banderas Bay area, contact him at (322) 688-6922 or warrenbrander@theagencyre.com.